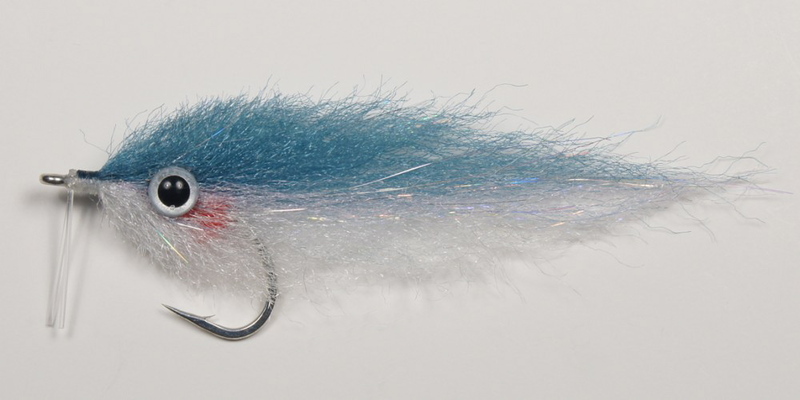 Enrico's Blueback Herring is the right fly to use when stripers, bluefish, and other gamefish prey on small herring, menhaden, or other wide-profile baitfish. The 2/0 fly has a weedguard; the larger #3/0 does not. Enrico's Blueback Herring flies are tied on super-sharp & strong Gamakatsu hooks. Tied by Enrico Puglisi Ltd. The #2/0 flies are approximately 3 1/2 inches long; the #3/0 flies are approx. 5 1/2 inches long.